Most of Washington and Lee University’s first-year students are matriculating right out of high school. But two of them, Rosalie Bull, of Dallas, Texas, and Ian Treger, of Lexington, Virginia, chose to take a gap year before starting college. Far from taking time off from their education, both lived abroad to learn about a different culture and to learn something about themselves. 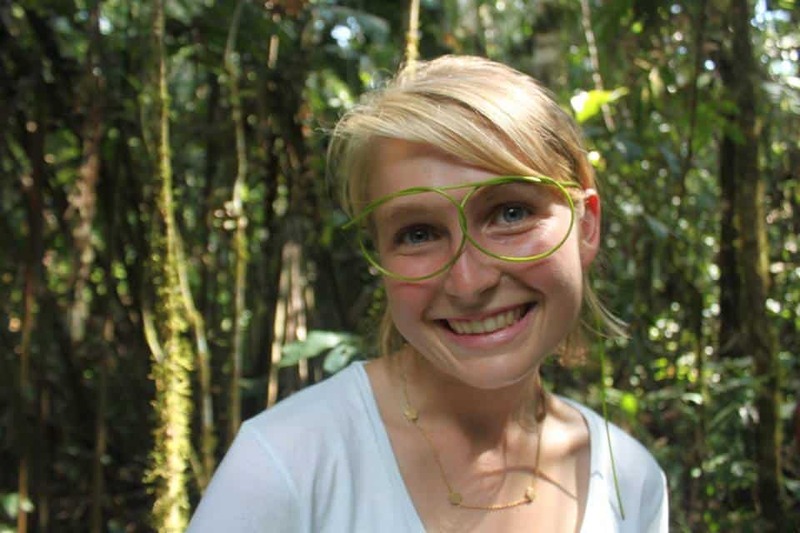 Rosalie, as part of the Global Citizen Year Program, lived with a family in the Pastaza region of Ecuador, a part of the Amazon rainforest. She was an apprentice at Parque Botánico Los Yapas, a non-profit organization created by a group of agronomists, biologists and a computer engineer interested in nature conservation. The park works on several projects including reforestation, an orquidarium, endemic palm-tree planting, an organic farm, medicinal plants and essential oil distillation. She wrote about her experiences on the Global Citizen Year website. Ian Tregar with his host sister.